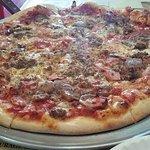 Description: We at Phil's Heavenly Pizza, not only serve you with great tasting food, but stand as a rock of hope in the middle of a diminishing world, delivering the one and only answer: " JESUS CHRIST "
Had the heavenly pizza and it came with plenty of items and was excellent. We had it delivered and it was no delivery charge. We gave the delivery guy a tip. 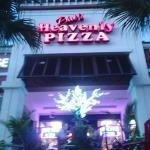 Phil has this pizza restaurant in the front of hi church. He uses the finest chees, the finest sausage, etc. and the slices are huge! We love it! 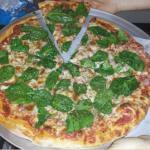 Gluten free pizza is delicious! I found this place while researching local pizza joints with gluten free pizza. 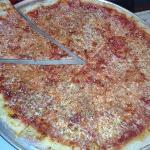 I am from NJ and was just craving pizza for dinner. I was slightly skeptical, because the website was very...holy. However the reviews were just outstanding, so my husband and I tried it out. 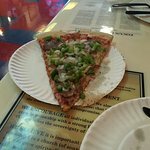 The lady at the counter was as sweet as can be and when I asked her about the gf pizza, she was more than happy to explain that I can have absolutely whatever i want on it. We also walked down the street to grab wine from Publix and she quickly offered her wine opener for us. The decor was fun and though it was Jesus centered, I enjoyed it. It was lovely and so were the staff. My husband got the meat lovers Stromboli and inhaled it. 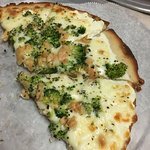 I ordered the gourmet white with gluten free crust and subbed out the tomatoes for broccoli and oh my goodness, it really was the best gf pizza I have ever had. You will not be disappointed. 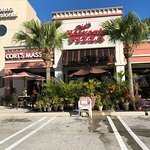 There is also outdoor seating and delivery! I just moved down here from NJ and stumbled in ...the Lord apparently does work in mysterious ways. They do not yell out scripture while making your pizza or try to baptize you while you wait. They do treat you with respect and kindness, I assume the way Jesus would if he was making subs. This place is good and they have a new customer in me! Great pizza. Very unique atmosphere. Outside sitting area filled with tropical plants . Place was on Fox TV and CNN due to the evangical services held every Sunday morning. 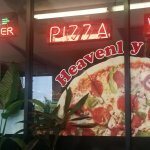 Been to Phil's Heavenly Pizza? Share your experiences!